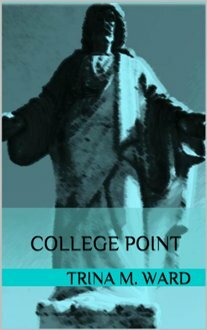 I had to find out what really happened at College Point but where the information ends, my story begins. The ‘need to know’ is fulfilled with the story I have written. The secrets behind the century old building that was destroyed and its past will be told. The missing people, the dark entities walking the former halls are only a few of the reasons I was intrigued to dig deeper. No one knew why it was even called College Point. I didn’t even know. Why did the faculty and administrative staff leave in the middle of the night abandoning the university? I had to get those answers. I had to tell why the school had been torn down leaving only the plaque and a needless gate which was odd in itself. You can take the structure away from the land but what it left behind was an evil that made appearances at The Martin House and Sandy Creek. This book ties all the secrets and mysteries in the Northwest Florida town together. Who know? There may be more.